Chances are you’re confused as to which of these new technologies are relevant to WordPress and how best to apply them in your workflow. Sure there are plenty of tutorials out there, but most don’t explain why you should be using these tools and don’t point you in the right direction when they’re done. I started in the same position, and it took me a long time to figure out what really worked and what didn’t. My goal is to shorten that process exponentially. 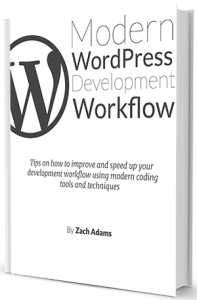 With this book I’ll take you through everything you’ll need to know about new development technologies and practices and which are the best for you to use. Newcomers are often tossed in the deep end, or aren’t guided properly in modern coding techniques and tools. 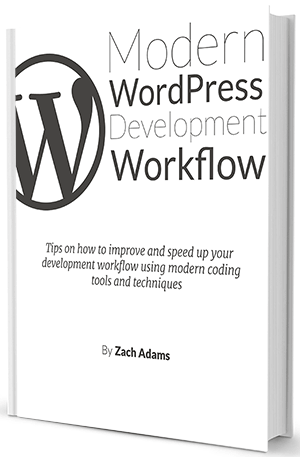 If you’re just starting out with WordPress or you’re a WordPress Veteran and don’t know where to begin, it’s easy to get lost and confused when you don’t have somebody to guide you. Why should I update my workflow? The good news is that we have fixed all of these problems. You just need somebody to show you where these tools and techniques are and how to use them!